• Enjoy light wind cruise through Lan Ha Bay. 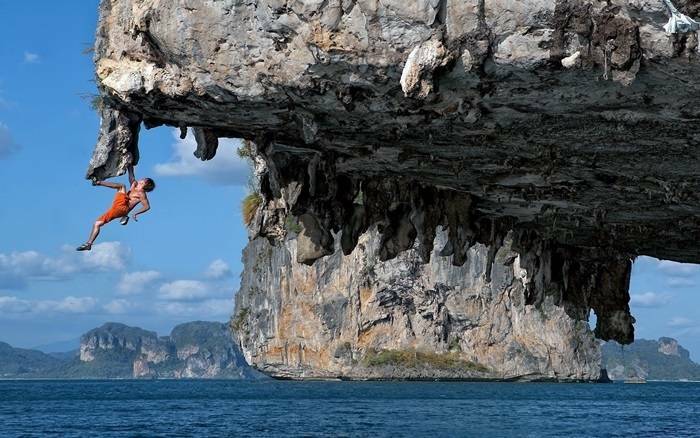 • Authentic experience Rock Climbing for a lifetime. • Experience local fishing village on the emerald water. • Lunch and Western Certified English Speaking Guides. • All Climbing Equipment and Climbing Shoes. Take a light wind cruise cast off into La Ha Bay where is lightly traveled, clean and astounding in pure beauty. After cruising through a maze of karst towers to the secluded and uninhabited Moody's island beach with sea water caressing two shorelines beneath a massive limestone cliff. 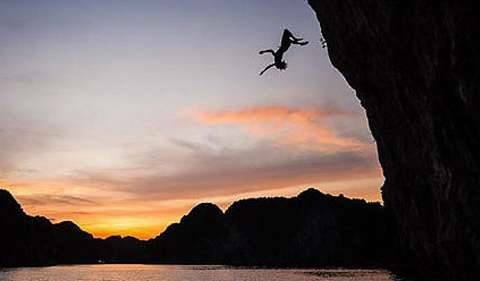 Your certified climbing guides will outfit you with safe and comfortable UIAA standard climbing harnesses and rock climbing gear. A toprope systems will be set up so that may ascend the rock face and worry free after brief instruction by frofessional guides. 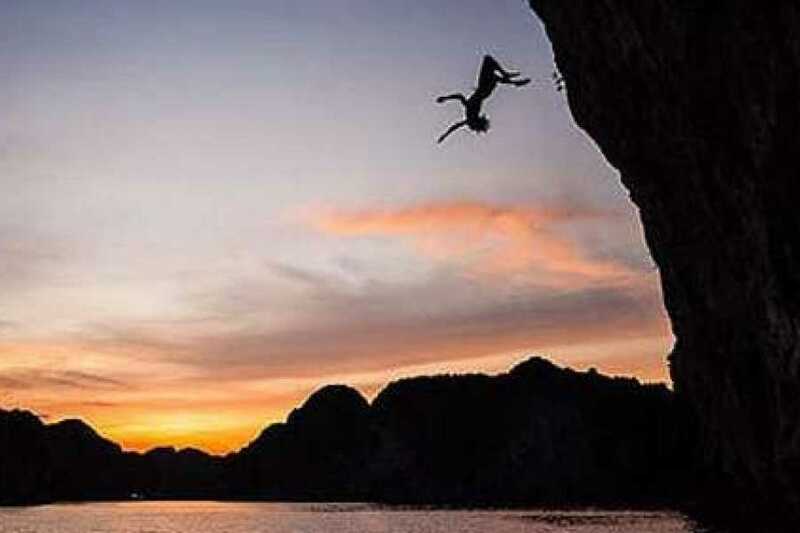 With the coaching of our experienced guides, climb as high as you'd like overlooking the emerald water of Ha Long Bay and enjoy a spectacular view. Spend the morning challenging yourself on different routes, which will no doubt leave you hungry for more...or at least hungry for food! A full spread of lunch will be set up while everyone can chat about their unique experiences and feelings while climbing. After lunch, you'll deboard at the amazing Hai Pai Island Beach, a gorgeous strip of secluded beach framed by two spectacular limestone cliffs. 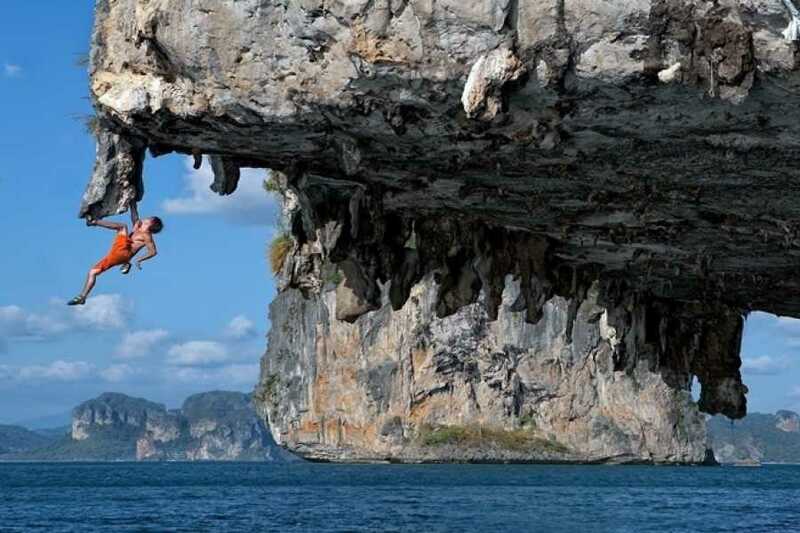 Your choice is kayak through the bay into hidden lagoons or more climbing on the new cliffs of Hai Pai Beach. Swimming is also availabe because this is island life! No forced itinerary will allow you to choose your own adventure. This excursion is designed for any age with or without ethletic ability and no necessary prior experience rock climbing. Depart from Cat Ba town by motobike ride along the beautiful coast and into the lust green hills of Cat Ba Island to the secluded village with only twelve farming family inhabitants. Soon, fiding yourself in the remote and breath taking Butterfly Valley. Having a short walk through the farm lands passing friendly water buffalo and cattle as butterflies flutter around your head. Here, clumbing up the massive rock face that overlooks the valley. 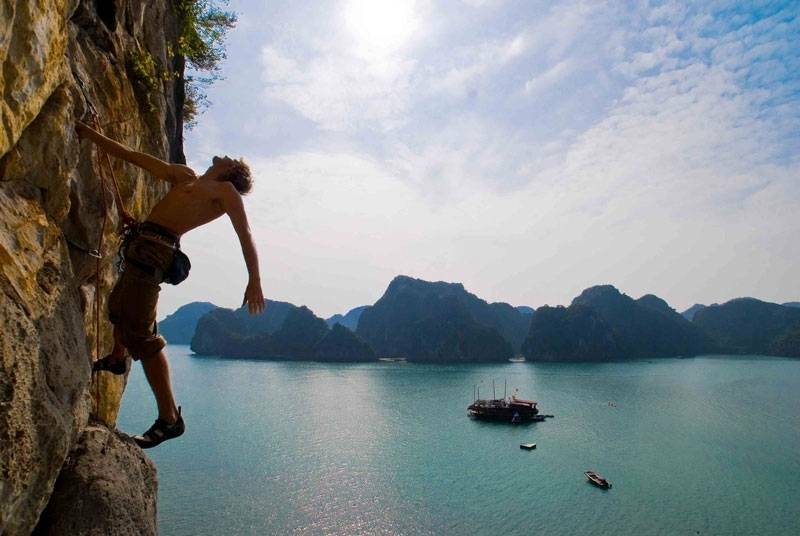 Choosing from a variety of routes up the sheer limestone cliffs. The secure toprope systems will be set up by professional guides, so you may ascend the rock safety and worry free. Climb as high as you feel comfortable and don't forget to look down. There is no feeling as rewarding as viewing the stunning valley from a position you created on your own. Spend the day climbing, drinking and chatting with the locals, exploring the surrounding terrain...It's a unique, active and authentic experience that will surely remain in your thoughts for a lifetime.